Brendon Marting joined Wall Street Prison Consultants in 2017. He served 4 ½ years as an inmate in the Ohio Department of Corrections after being convicted on unlawful entry and assault charges. During his time in custody, he became savvy at navigating through the rules and policies of the Ohio state correctional system, and spent his time assisting inmates in drafting briefs, appeal motions, early release petitions and inmate grievances. After release, Brendon served a 5 year term of mandatory probation, and later earned an MBA from the University of Dayton, in Dayton, Ohio. 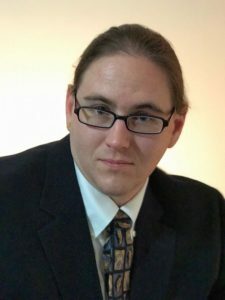 Brendon seeks to leverage his abilities and assist others to thrive and survive in the hostile environment of prison, and looks forward to working with Wall Street Prison Consultants clients in obtaining RDAP sentence reductions as well as helping them make the transition from society to Federal Prison.